JMSB students have created a video series using the hashtag #TalksAboutIt as a way to encourage Concordia students to open up about their experiences with mental or emotional hardships. The campaign was organized by CASA Cares, a non-profit organization of the Commerce and Administration Student Association (CASA) at JMSB, which promotes social awareness and inclusion. The student association is a volunteer-based organization with a mission to inspire students to get involved in their community and help destigmatize mental illness. “The #TalksAboutIt campaign all started when one JMSB student approached us about an idea he had to help students affected with mental illness,” said Yasmine Ait Bihi, president of CASA Cares. The #TalksAboutIt campaign is a YouTube video series where students film themselves talking about their personal experiences with mental illness and depression. “We wanted to create a hashtag on social media to encourage students to talk about the cause,” Ait Bihi told The Concordian. “Many times the issue is that students [are afraid] to talk about their struggles.” The campaign allows students to share their experiences in the hopes of helping others in a similar position, she said. CASA Cares invites all Concordia students to participate and send in videos of their stories, said Ait Bihi. Students can simply send their videos directly to CASA Cares or post a video themselves with the hashtag. She said she and her team hope this year-long initiative continues in future years. “CASA Cares promotes social awareness and raises money for a variety of causes,” Ait Bihi said. Some examples include Movember, which raises funds for prostate cancer research, and an annual fashion show to benefit the Montreal Children’s Hospital. Concordia University offers a variety of programs for students who need emotional guidance and help. 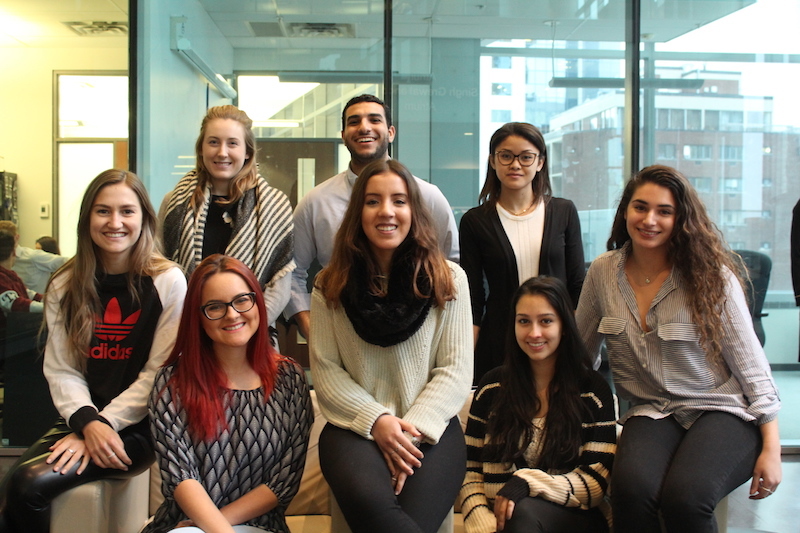 The Everyday Therapy campaign, organized by Concordia Health Services, is among one of the many Concordia programs geared towards helping students with everyday personal struggles. Everyday Therapy hosts four sessions throughout the semester to give students tips and suggestions for dealing with daily obstacles. In addition, many Concordia students have been involved with this year’s Bell Let’s Talk campaign. On Jan. 25, Bell Let’s Talk will be launching its seventh annual conversation about Canada’s mental health. On the same day, Concordia will host “One in Five,” an event in conjunction with Bell Let’s Talk, from 10 a.m to 3 p.m. The event will feature different resources for students and will discuss internal and community resources to help deal with mental health said, Dale Robinson, Manager/Psychologist, Counselling & Psychological Services at Concordia. Bell will donate five cents to mental health initiatives for every text or call on Jan 25, regardless of the topic. As well, every tweet of instagram post with the hashtag #BellLetsTalk, or every time someone watches a Bell Let’s Talk video on Facebook. In addition, five cents will be donated if a picture is taken with the Bell Let’s Talk snapchat filter.